A teenage boy is cursed with periodically turning into an sheepdog. After a kidnapped bank teller uses a neighbor's wandering cat to send an SOS, the FBI assigns a cat-allergic agent to the case. Jim Douglas: Who's giving up, buddy? Not Me! Love Bug's third entry in which Herbie is racing in the Monte Carlo Rally , it is full of pranks and car stunts that are great fun to see . Agreeable Disney's love bug Wolkswagen plenty of action , slapstick , laughs and fun . This hilarious Herbie story concerns about The Love Bug falls 'hood-over-wheels' for a classy chassis! Herbie, the Volkswagen Beetle with a mind of its own undertakes the famous international car race but encountering all sorts of comical obstacles along the way . 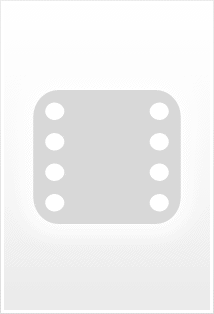 Unbeknownst to Herbie's driver thieves (Ron Kinnear, Bernard Fox) have hidden a cache of stolen diamond in the gas tank . So the thieves resort to all manner of traps , legal or otherwise, to get it and are now attempting to get them back . There is one obstacle however : Herbie and a French Police Inspector (Jacques Marin) is investigating the robbing . Fortunately, the couple of pilots (Dean Jones, Don Knotts) have a sleeve in the form of Herbie , the fantastic car , as they takes the magical Wolkswagen Bug with a mind of its own . The VW falls in love with a sports car, a Lancia , as both of them compete in the notorious race . Miraculous Herbie take them for a ride and stumbles into evil hoodlums who pursue through roads , highways and race tracks . As always, Herbie the love bug , is helping the young couple (Dean Jones ,Julie Sommars) find romance but encountering all sorts of hilarious problems along the way . Meanwhile Herbie with the number 53 intervenes in the biggest race cars from Paris to Monte Carlo and win the Grand Prize , a challenge among top competitors circle the world's most famous racing circuits and quickly slipping in the ranking. This ordinary Disney slapdash film displays great loads of amusement , fun , giggles , race cars and is pretty entertaining . It's an enjoyable movie for kids and for those who enjoy cars racing round and round and bounds and leaps by Herbie . The actors seem to enjoy immensely , as Dean Jones and Don Knotts play of sympathetic manner and the mean-spirited villains performed by Ron Kinnear , Bernard Fox and Jacques Marin are top notch . Brief appearance as sympathetic waiter by Gerard Jugnot subsequently prestigious player in the successful ¨The choir boys ¨. Colorful cinematography by Leonard South and jolly soundtrack by Frank De Vol including the lively leitmotif , usual in the Herbie's series. 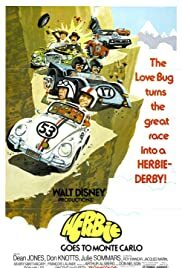 This is a delightful film , the original film turns out to be : ¨The love bug¨ (1969) by Robert Stevenson with Dean Jones, Michele Lee and Buddy Hackett , followed by ¨ Herbie rides again (1974)¨ also by Robert Stevenson and starred by Ken Berry , Stefanie Powers and Helen Hayes ; it's followed by ¨Herbie goes to Montecarlo¨ and ¨Herbie goes bananas¨ (1980 , or Herbie Torero) by Vincent McEveety starred by Charles Martin Smith and Cloris Leachman , among others and a 1997-for-television-movie and a TV series , the most part filmed by Stevenson and Vincent McEveety and usually starred by Dean Jones . Furthermore recent version starred by Linsay Lohan , Justin Long and Matt Dillon , being directed by Angela Robinson. This " Herbie goes to Monte Carlo¨ version is amusing and with lots of laughs but is a familiar film . The motion picture is correctly directed by Vincent McEveety . Worthwhile seeing , typical Disney slapstick ,it's a great fun to watch and there are loads of entertainment in this one . It' one of the best and funniest of ¨Herbie¨ series .